A talented field of 13 two-year-olds will be vying for a guaranteed spot in the Breeders’ Cup later this fall as they face off in Sunday’s co-featured $250,000 Summer Stakes to be raced over one mile of turf at Woodbine Racetrack. With stakes wins already to their credit, Wallace and Muskoka Wonder are the most accomplished juveniles in the field for the Breeders’ Cup ‘Win And You’re In’ event, which was upgraded this year to Grade 1 status. 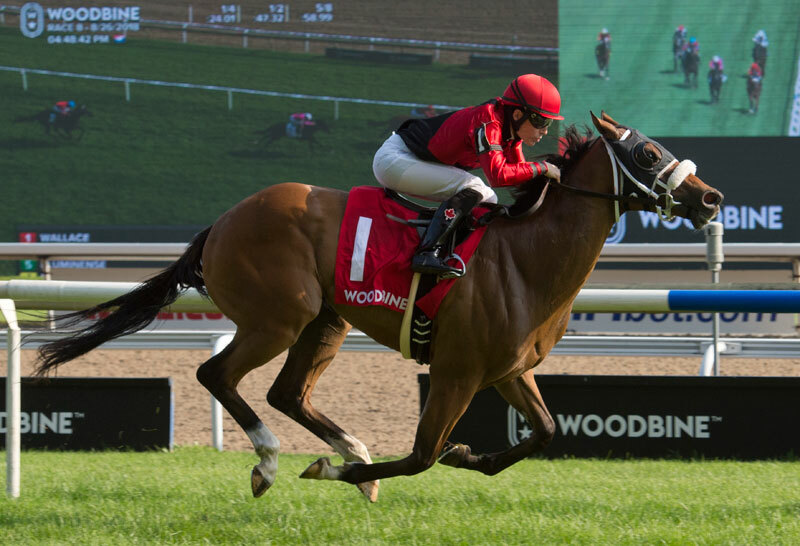 Five-time starter Wallace heads into the Summer Stakes fresh off an upset victory as the longest shot on the board in the six-furlong Soaring Free at Woodbine while making his turf debut. Changing hands after that triumph on August 26, the Run Away and Hide gelding was acquired by owner Nancy J. Pierce and is now trained by Kelsey Danner with Emma-Jayne Wilson retaining the mount. Conrad Farms’ Muskoka Wonder, one of three Mark Casse trainees in the race, was a winner right out of the gate with a maiden score on July 22 followed by his stakes victory in the Clarendon on August 5 while racing over 5-1/2 furlongs on the Tapeta track. The Into Mischief colt then finished fourth in the Soaring Free while stablemate Tricky Magician, who will also compete in the Summer Stakes, was the runner-up. Gary Barber’s Tricky Magician and one-time starter War of Will both will be looking to breakthrough for a win in the Summer Stakes. Locally-based trainer Josie Carroll will send Avie’s Flatter and Nashtrick, who each won at first asking, into the mix. Ivan Dalos’ homebred colt Avie’s Flatter won his five-furlong first start on August 12 over the Tapeta course at Woodbine while the Kentucky-bred Nashtrick, owned by Augustin Stable, was victorious in his August 24 debut over seven furlongs on the turf defeating the aforementioned War of Will and additional Summer contenders Moon Swings, who hit the board in the Clarendon for trainer Michael De Paulo, and the Daniel Vella-trained maiden Cerrado. Avie’s Flatter, sired by Flatter out of the Empire Maker mare Avie’s Empire, is a half-sibling to this year’s Wonder Where Stakes champion Avie’s Mineshaft. Stronach Stable’s Jungle Warrior is another local turf winner, who defeated Tricky Magician by a head in his initial August 4 outing for trainer Sid Attard (former trainer of Wallace). Monticule’s homebred Dob Dob heads to Woodbine for the Summer after winning over one-mile on the turf at Laurel Park for trainer Michael Dickinson while Peter Brant’s Fog of War will ship in after taking his first 5-1/2-furlong foray over ‘good’ turf conditions at Saratoga. The latter, trained by Chad Brown, was a big ticket yearling purchase who sold for $400,000 at last year’s Keeneland sale. The War Front-Say colt’s granddam is multiple Grade 1 stakes winner Riskaverse. Trained by Michael Maker and owned by Three Diamonds Farm, Woodbine newcomer Skychief finished third in his 1-1/16 prep last time out on August 25 over Saratoga’s grass course. The field also includes Qatar Racing’s Federal Law, who will make his first North American start in the Summer after kicking off his career overseas. The Archie Watson trainee was a winner at Salisbury in his second of four starts in mid-July.